The number of Palestinians killed in Gaza during the Land Day protests at the border fences has reached 16, according to the Palestinian Ministry of Health. Mohammad Kamal Najjar, 25, Jabalia, northern Gaza. Mohammad Naim Abu Amro, 27, Sheja’eyya, Gaza city. Amin Mansour Abu Moammar, Rafah, southern Gaza. Ibrahim Abu Sha’ar, 22, Rafah. Abdul-Fattah Bahjat Abdul-Nabi, 18, Beit Lahia, northern Gaza. Mahmoud Sa’adi Rohmi, 33, Gaza. Sari Waleed Abu Odah, Beit Hanoun, northern Gaza. Jihad Ahmad Freina, 34, east of Gaza city. Ahmad Ibrahim Ashour Odah, 16, northern Gaza. Abdul-Qader Merdhi al-Hawajri, 42, Nusseirat refugee camp, central Gaza. 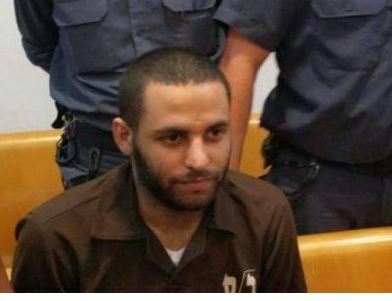 Jihad Zoheir Abu Jamous, 30, Khan Younis. Bader Faeq as-Sabagh, 21, Jabalia. 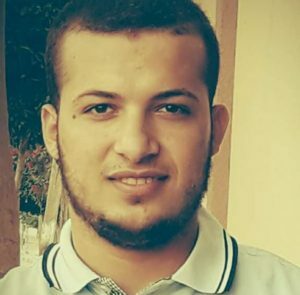 Naji Abdullah Abu Hjeir, 25, al-Boreij, central Gaza. 1416 Palestinians have been wounded. 758 of whom were shot by live ammunition, 148 injured by rubber-coated steel bullets. The others were injured by tear gas, concussion grenades and other so-called ‘non-lethal’ weapons. Updated from: The Palestinian Health Ministry in the Gaza Strip has reported that Israeli soldiers killed, Friday, thirteen Palestinians, and injured at least 1272, including many who suffered serious wounds, in several parts of the Gaza Strip. The latest casualties at the time of this report has been identified as Jihad Zoheir Abu Jamous, 30, who was shot with a live round in the head, in Khan Younis. At least twenty of the wounded Palestinians suffered life-threatening injuries, especially since the soldiers used exploding bullets. The Israeli army resorted to the excessive use of force against the nonviolent protesters who marched only carrying Palestinian flags, by firing dozens of live rounds at them, in addition to rubber-coated steel bullets, gas bombs and concussion grenades. 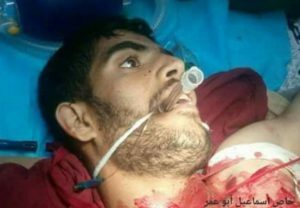 Wahid Sammour was the first to be killed earlier on Friday, while working on his own farmland, when the soldiers fired shells into lands, east of Khan Younis. Furthermore, hospitals and medical centers across the Gaza Strip issued urgent appeals to the Palestinians to donate blood for the wounded. As the protests continue across the besieged Gaza Strip, the Israeli army also fired shells at a site east of the al-Boreij refugee camp, in central Gaza, and another site, southeast of Gaza city. In Ramallah, in central West Bank, the soldiers injured dozens of nonviolent Palestinian protesters, at the northern entrance of al-Biereh city. The soldiers also attacked dozens of nonviolent protesters on Budrus, west of Ramallah, wounding many Palestinians. Also in Ramallah, the soldiers shot three Palestinians with live fire, and caused dozens to suffer the effects of teargas inhalation, after the army resorted to the excessive use of force against nonviolent protesters in Nabi Saleh village, north of the city. Two Palestinians were also shot with live fire, after the army attacked protesters on their lands, near the illegal Halamish Israeli colony, which was built of lands owned by villagers of Deir Nitham, west of Ramallah. In Nabi Saleh village, northwest of Ramallah, the soldiers attacked dozens of protesters, and fired dozens of gas bombs at them. In Bil’in village, west of Ramallah, dozens of Palestinians, accompanied by Israel and international peace activists, held the weekly procession against the Annexation Wall and Colonies, and protesting the ongoing occupation, and the illegal American recognition of occupied Jerusalem as the unified capital of Israel. In addition, the soldiers attacked nonviolent protesters in Qusra village, southeast of the northern West Bank city of Nablus, while they marched carrying olive branches to plant them in their lands. The soldiers also attacked nonviolent protesters in Hebron and abducted at least two Palestinians. In addition, the soldiers shot a Palestinian child with live fire in his leg, after the army invaded the al-Lubban ash-Sharqiya village, south of the northern West Bank city of Nablus. Today, marks the 42nd Anniversary of the Palestinian Land Day, when Israel illegally annexed 21000 Dunams of Palestinian lands, and issued “Absentee Property Law” which allowed it to confiscate the lands of displaced Palestinians. The army invaded many villages and towns and killed six Palestinians on that day (March 30, 1976) in various parts of occupied historic Palestine, and the Palestinians started marking it since then, expressing their determination and steadfastness in their struggle for liberation. Palestinian President Mahmoud Abbas declared Saturday a national day of mourning in response to the killing of the nonviolent protesters. The Number of Palestinians killed by Israeli army fire, Friday, has arrived to eight young men, while at least 1100 were injured. Many of the wounded Palestinians suffered serious wounds. Jihad Ahmad Freina, (Palestinian security officer) Gaza city. Wahid Nasrallah Abu Sammour, 27, Khan Younis, southern Gaza. 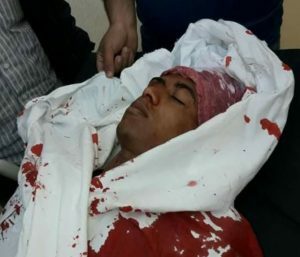 Amin Mansour Abu Moammar, 22, Rafah, southern Gaza. Ibrahim Abu Sha’ar, 22, Rafah, southern Gaza. Ahmad Ibrahim Odah, 19, Gaza city. Mahmoud Sa’adi Rami, 33, Gaza city. Mohammad Naim Abu Amro, 27, Gaza city. The army also abducted one Palestinian, reportedly after he managed to cross the border fence. Furthermore, hundreds of Palestinian protesters managed to remove section of the border fence, and cross into the Israeli controlled side. The Palestinian Health Ministry has confirmed that Israeli soldiers shot and killed, Friday, four Palestinians, and injured at least 600 others in several parts of the Gaza Strip, after the army earlier killed three others in the coastal region. 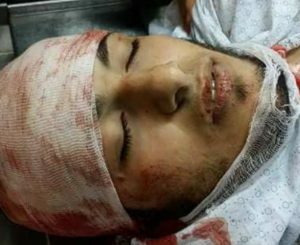 The soldiers killed Mahmoud Sa’adi Rahmi, with live fire, east of Gaza city, and injured many other Palestinians, including with live fire. The Ministry said the soldiers killed Mohammad Abu Omar, 19, and Ahmad Ibrahim Odah, 16, in northern Gaza. The soldiers also shot and killed Jihad Freina, 33, with live fire, east of Gaza city. It added that the soldiers shot more than 500 Palestinians, including ten who suffered very serious injuries after being shot with live fire in the upper parts of their bodies, in several parts of the besieged Gaza Strip. The soldiers also killed a young man, identified as Mohammad Kamel Najjar, 25, with a live fire, east of Jabalia, in northern Gaza. Mohammad was from Tal az-Za’tar area, in northern Gaza; eyewitnesses said the soldiers fired live rounds directly targeting him. 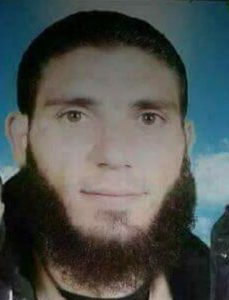 Furthermore, the soldiers killed Amin Mahmoud Moammar, 38, from Rafah, in the southern part of the Gaza Strip, also after shooting him with live fire. 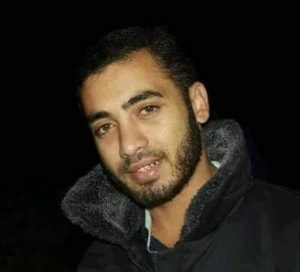 Earlier on Friday morning, the soldiers fired tank and artillery shells at Palestinian farmers, east of the Al-Qarara area, east of Khan Younis, in the southern part of the Gaza Strip, killing one Palestinian, identified as Omar Wahid Nasrallah Sammour, 27, and seriously wounding another. The Israeli army said that any Palestinian who enters lands near the border fence, including the agricultural lands, dozens and hundreds of meters away from the border, will be shot. Today marks the Palestinian Land Day, and the protests are planned to continue, demanding liberation and independence, and the internationally-guaranteed Right of Return of the refugees. arks the establishment of Israel on the historic Palestine in 1948, after displacing hundreds of thousands in Palestinians, and destroying hundreds of villages and towns.